Mark you calendars. 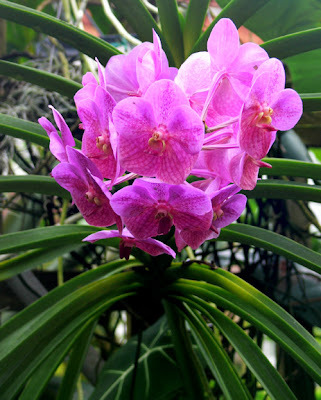 Orchid Daze at the Atlanta Botanical Garden starts on Saturday, February 5, 2011. This year the headliner is a special exhibit called "Liquid Landscapes" featuring thousands of orchids in full bloom paired with unique water features. One of the many events during Orchid Daze is the Orchid Society Show, which will take place March 11-13, 2011 with hundreds of orchids on display and available for purchase.